Over one week, all online donations made to Temwa through the Big Give will be doubled, meaning one donation creates TWICE the impact. All year round, remote farmers struggle to access markets on their own. But this Christmas, your doubled donation will change their lives. It will provide market access to increase their earnings. Also, you’ll help to stop deforestation, a process which has devastating impacts on communities. 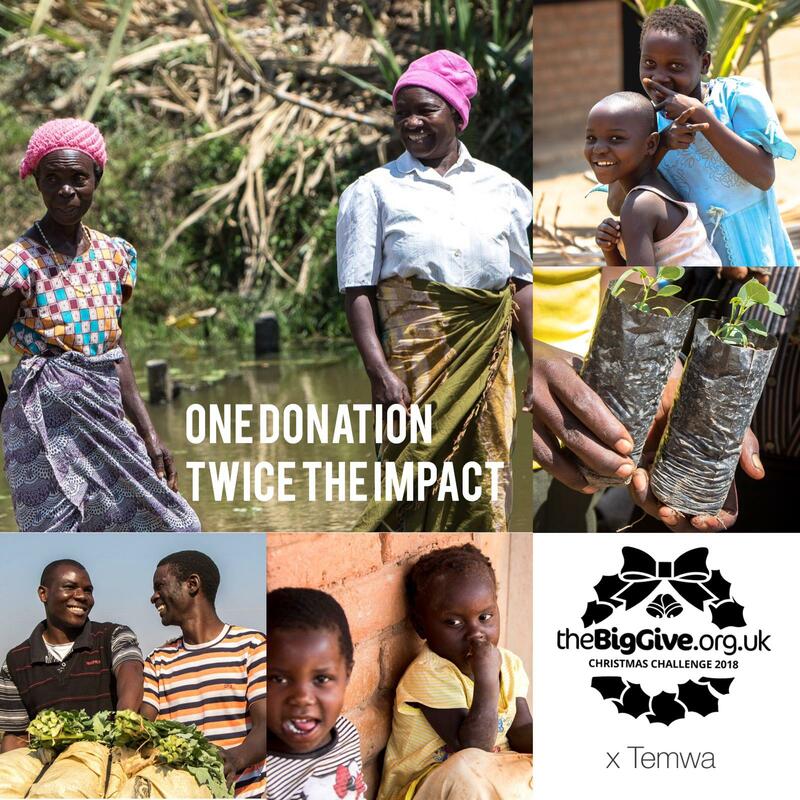 Restrictions: Donations are doubled for only one week and when given online, through the Temwa’s Big Give Profile. If matched funding reaches £20,000 then donations after this point will no longer be doubled, but you will still be able to donate. In the communities where we work, almost all families rely on farming to make a living. Their incomes are often extremely low and 2 in 5 people live off less than £1 a day. As a result, many people don’t have access to regular, nutritious food. The effects of deforestation, unpredictable weather and decreasing soil quality only add to the problem. Certainly, the opportunities of earning more money are endless. Most importantly, farmers can start to lift themselves out of poverty and create better futures for themselves and their families. If you choose to donate through the Big Give, feel free share this opportunity to others. While on social media you can tag us using @TemwaUK or use hashtags #TeamTemwa #OneDonationTwiceTheImpact.